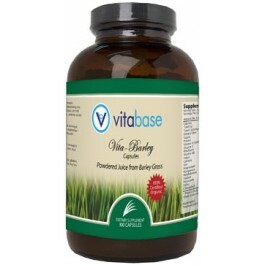 With Vitabase Vita-Barley, you get the benefits of barley juice without the high price. The barley is organically grown in an excellent environment and is harvested at the proper time in order to preserve its nutritional value. After the barley is juiced, it is dried into powder using a dehydrating process that does not exceed 88° F. Vita-Barley is made from pure barley juice powder without maltodextrin or other fillers. Take on an empty stomach or shortly before meals. Mix one level teaspoon of Vita-Barley in a small glass of water or juice. Vita-Barley mixes easier by shaking rather than stirring. Take 2-3 times per day (or more if you need more nutrition).